Everyone of us wants more money in our wallet, and we’ve getting that from lower gas prices for months. Now the stronger dollar is giving us even more by delivering some hefty buying power. Pretty much anything imported into the US is going to cost less than it did last year. This goes for everything from Japanese cars to Chinese electronics to German pharmaceuticals. In 2013, the US bought $2.33 Trillion worth of imported products—up 45.5% from 2009—so the overall “savings” is huge. While we’re busy paying less for imports, non-US consumers and businesses are busy paying more—a lot more—for US exports. This means foreign companies are buying fewer US goods and services (just take a look at the disappointing earnings reported from Caterpillar and Microsoft last week to see the real-world impact). This backlash can hit US production, which can then result in a second hit to manufacturing jobs. US companies with operations overseas are bound to see losses as well. If the dollar climbs too high, the issues can go global. In the US, our exports can be outpriced by foreign bidders, and tourism hotspots at home may become less attractive (read affordable) travel destinations for visitors from Europe and Asia. Despite the strength of the dollar, the balance can start to shift against US companies, leading to a negative impact on corporate growth, earnings, and the stock market. Despite that doom and gloom, we’re actually in a strong position for the time being. And we can stay there with a little planning. From an investment perspective, the average retail portfolio faces 100% dollar exposure, so if things continue the way they’re going, it may be time to hedge that exposure to diversify risk. The same is true for commodities, which are hard-hit by a strong dollar. Foreign markets are a mixed bag: a stronger dollar means US exports are more expensive, which can cause an uptick in earnings for foreign companies. But the strong dollar also hints at a growing US economy, which would lead to strong growth domestically. By keeping an eye on the global balance, we can work to leverage each opportunity. The best scenario is a dollar that is strong, but not too strong. And while we certainly have no control over that strength, there are controls at play to help maintain global balance. It’s likely that supply and demand will help even out the playing field. The important thing to remember is that there’s always a boogeyman out there taunting the market. In 2012, it was the fiscal cliff. In 2013, the Federal Taper. Last year, Russia and the Ukraine. This year (so far) it’s been the strength of the dollar and (as of Sunday) the Greek election. But over the long term, this boogeyman will also vanish, and life—and the slow, steady growth of the market—will go on. From my perspective, the US is the strongest economy in the world—and the most transparent—which tilts the balance in our favor. So jump back on to AirBNB and see if there’s a great spot in Europe you’ve been dying to visit. Now may be the best time to pack your bags and take advantage of the strong dollar to get a little more of just about everything for your money. 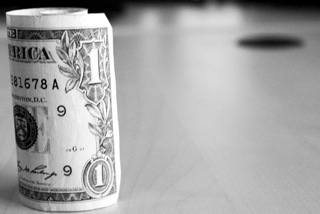 Questions about how the strong dollar impacts your own financial outlook? Email me and we can schedule a time to dive into more detail. I’m here to help. Is “breaking news” killing your financial plan?